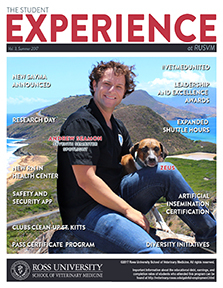 The Student Experience newsletter is published every semester by the Student Experience Team at Ross. 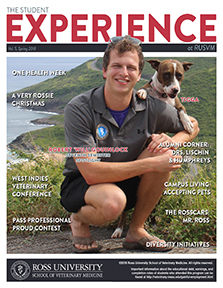 Catch up on the activities, people and programs that make the Rossie experience. Have an idea for the newsletter? Contact Jeff Fazio, Student Engagement & Professional Standards Specialist. Incoming students are required to be in St. Kitts one week prior to the start of classes to participate in new student orientation. Each semester’s Orientation includes a series of activities designed to introduce students to the University, the profession, and the island. We believe that for students to be academically successful, it is important for them to settle comfortably into the environment of the island and to have opportunities to learn about the culture of St. Kitts. The Orientation program is aimed at assisting in this process. 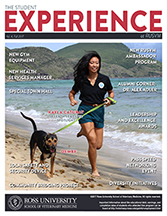 Some important components of the orientation program include a discussion of Life in St. Kitts, Myers Briggs Personality Type Indicator, a Curriculum Overview, Leadership Development, Security, and Life in Balance sessions. The Orientation program concludes with the White Coat Ceremony, where students are officially welcomed into the veterinary profession. This takes place each term with the first semester students on the afternoon of the first day of classes. The program includes all students reciting the Veterinary Student Oath. Access most student materials and other important resources on the student portal. 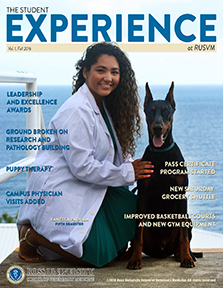 We offer a number of scholarships that you may apply for prior the beginning of your first semester at Ross Vet, as well as throughout your student career. 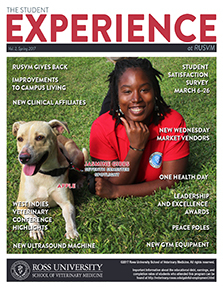 Learn more about our current student government officers, contact student government, and explore other Ross Vet clubs on campus.